Like the English bulldog, it is also necessary for you to have great dog shampoo for your French bulldog or French bulldog puppy which is a popular breed.This is to keep your loveable dog from being far too dirty. This is also to allow your dog to have a brilliant-looking coat.There are a number of shampoos for Frenchies that you can choose from today when finding something great for your pet to use. Look for an option that is free of dangerous chemicals. Check on how well the shampoo smells. It should have a relaxing scent that doesn’t irritate your Frenchies. Review how the shampoo functions. Many shampoos work to hydrate your dog’s coat. Others work better to kill off bacteria that cause odors to develop. As you use these points, you will find a great shampoo that fits well for your dog’s needs in particular and shouldn’t suffer from hair loss or similar allergies. It helps to look at the many options for a shampoo that you can use to stay comfortable. This first choice to look at is from Bodhi Dog. It is made with oatmeal extracts and baking soda. These hydrate your dog’s skin and coat while also neutralizing odors.It does well with targeting the bacteria that cause odors to develop in your dog’s coat. This is made especially with sensitive skin in mind. It does not have any detergents or alcohols nor does it have any ethyl alcohol compounds that might strip away oils.This all comes with a comfortable apple scent. It will not distract your French bulldog. This also applies evenly and easily over your dog’s coat and creates a nice lather. This is a popular option that is safe to apply and will not irritate your dog when used right. Earthbath has a fully biodegradable pet shampoo for you to look at when finding something for your Frenchie. This does not contain soap as it focuses on oatmeal and coconut with purified water. These assist in hydrating your skin and clearing out difficult oils. It is a pH-balanced formula that keeps the skin and coat comfortable. It can even work to wash off any flea applicants that have to be washed off after a while. This all comes with one of many natural scents made off of various plant extracts. You can find an option made with oatmeal and aloe or another with tea tree oil or even orange peel compounds. The products that Earthbath has made are safe for your French bulldog to use and will not be irritating or hard to use. 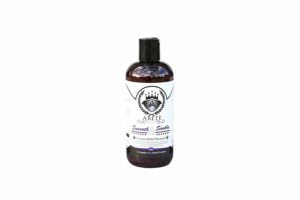 Healthy Breeds has made a number of shampoo products designed with specific breeds in mind.This option for the French bulldog is made with proper moisturizing factors and uses sweet pea infusions to remove odors with ease. Added proteins are included for conditioning the coat to keep it comfortable.The formula is properly mixed so it will work well on your Frenchie’s coat. It is not heavily diluted to where it will be too strong nor is it too light. It has been properly mixed so your dog will be treated properly. This should establish a relaxing feeling that will not be bothersome or otherwise hard to use in any situation.It has been properly mixed so your dog will be treated properly. This should establish a relaxing feeling that will not be bothersome or otherwise hard to use in any situation. 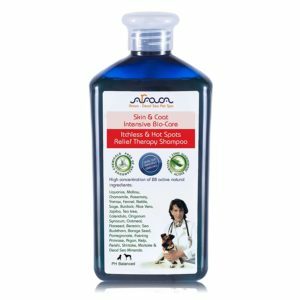 This is a popular shampoo option that can work well if you have a dog that is bearing with difficult odors or itching concerns.Arava has made this with Dead Sea minerals as more than two dozen natural ingredients are included. These include chamomile, liquorice, oatmeal, flaxseed and aloe vera among others.These natural ingredients help with neutralizing bacteria that cause odors to develop in your dog’s coat. These also help with hydrating the skin and balancing its pH level so it will not become dry or worn out quickly.It also comes with a comfortable scent that will not irritate your dog. The gentle herbal extracts help to create a light scent that does not bother your dog or make it harder for your dog to enjoy a nice coat. This comfortable organic shampoo is designed with a setup similar to what you might find out of a typical spa. This uses botanical extracts, particularly cucumber, to create a comfortable scent while controlling bacteria that cause irritation to develop in your dog’s coat. 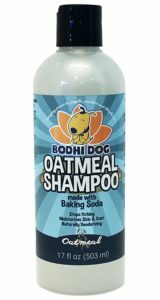 The oatmeal in this shampoo also hydrates the skin and coat so it will feel refreshed.This also conditions your dog’s coat as deep as possible. It creates a better sense of control as the coat isn’t going to be too hard to maintain or clean off when used right. The makers of this product do offer a few other options that come in a variety of scents. These include mango and lavender scents to name a few. Each option is designed to be comfortable and easy to apply. This next option is designed with all breeds in mind but it works well with French bulldogs in mind.This uses emu oil, sage and ginger roots to create a gentle wash that gets in deep into your dog’s coat. Frankincense is also added to help reduce irritation and calm down your dog’s skin. It also keeps inflammation and redness from being a serious problem. 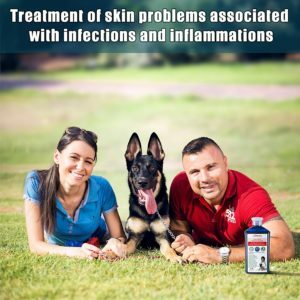 It does well with moving into your dog’s skin without problems and will not cause irritation if used right. This also neutralizes the pH levels in your dog’s coat. This keeps your dog from feeling irritated and can also keep fleas from being as much of a problem. 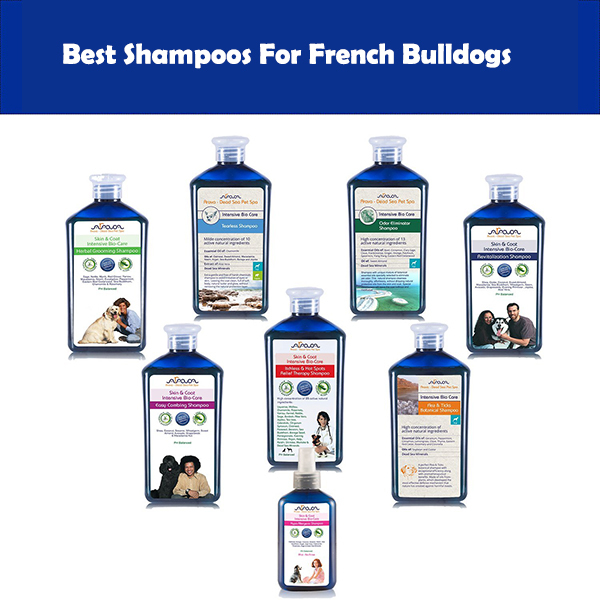 Look at all of these choices when finding the best shampoos for French bulldogs. You can find many good options that fit in well with your dog’s coat but make sure you look carefully at how well it is organized.